The Faroe Islands is a breathtaking archipelago in the North Atlantic Ocean. 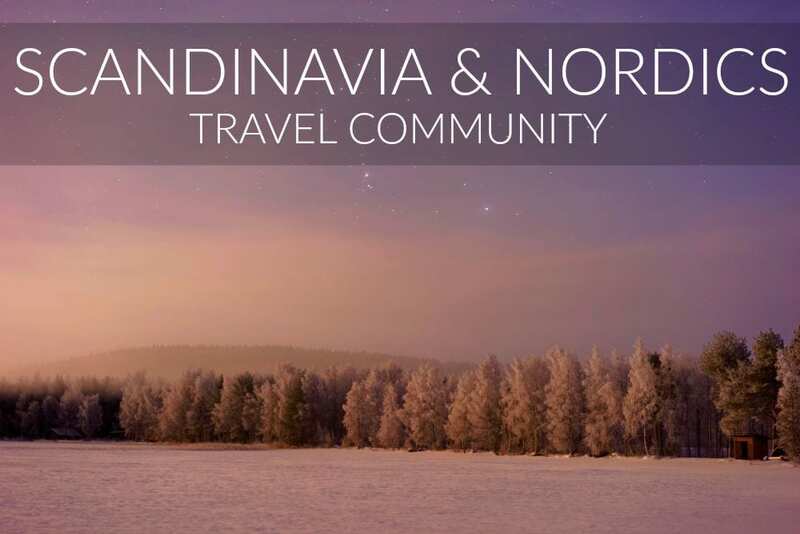 Located between Iceland and Norway, it’s the perfect combination of historical and natural interest. I have had the chance to visit the place twice and stay at a variety of different Faroe Islands hotels while there. 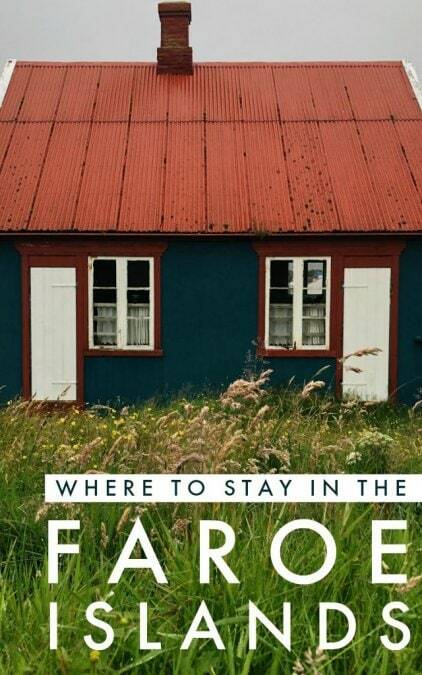 This is a guide of where to stay in the Faroe Islands- from apartments to budget and luxury accommodation. I have decided to break down the list by grouping the properties by island. Hopefully, this will give you an idea of which hotel in the Faroe Islands will be the best for your itinerary. Don’t have your route planned yet? This Faroe Islands itinerary will help get you started. 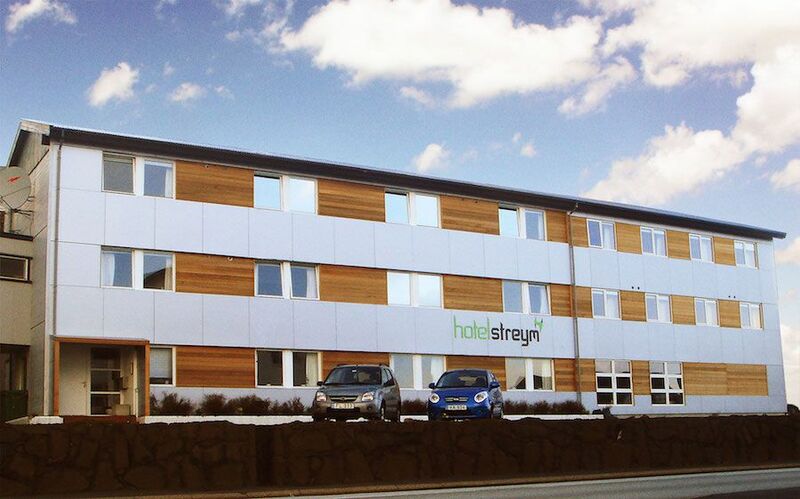 I stayed at Hotel Streym on my last night in the Faroe Islands last August with Allison. 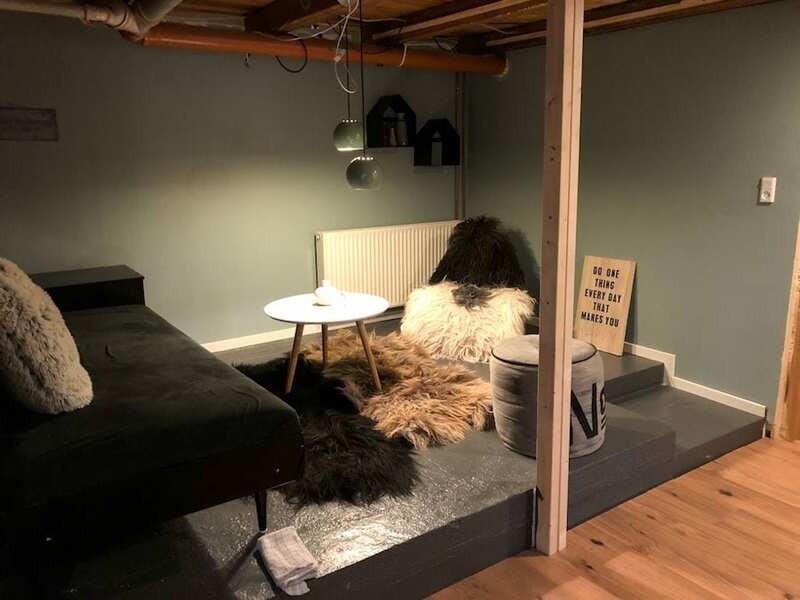 The location was absolutely ideal as it hugged the gorgeous Atlantic coast and was just a stone’s throw away from the city center of Torshavn. The rooms were practical, yet comfortable and the breakfast was extremely tasty. My favorite thing about Hotel Streym was the personality that the Faroes hotel exuded. 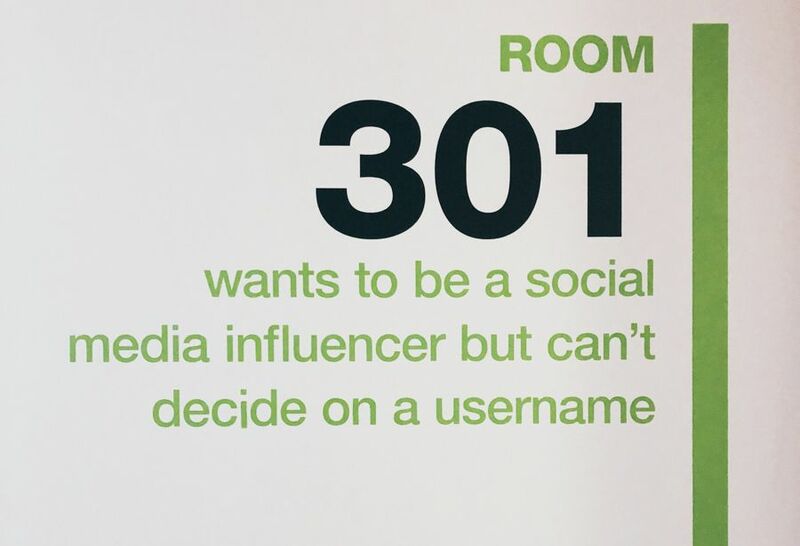 Each room had a little, cheeky quote or text outside of it and it left me wandering the halls laughing during my entire stay there. The hotel is located at 19 Yviri við Strond in Tórshavn. If you’re looking to stay at one of the most renowned properties in the Faroe Islands, look no further than Hotel Føroyar. This hotel is situated a bit outside of Torshavn city enter and is quiet, cozy, and exudes Faroese charm. I know many people who have chosen the hotel as their accommodation in the Faroe Islands and not a single person has had anything negative to say. I hope to call it home for a night or two the next time I am there! You can find Hotel Føroyar at 45 Oyggjarvegur in Tórshavn. While I haven’t had the chance to stay at Hotel Hafnia in Torshavn just yet, I have been inside there to have a drink and I have also enjoyed the attached cafe called Cafe Kaspar. Hotel Hafnia is one of the most notable hotels in the Faroe Islands and they offer everything from a conference center to rooms with puffin artwork. Yea, say no more. I’m moving in. You can find Hotel Hafnia at Aarvegur 4 -10 in Tórshavn. Aside from the en suite bathrooms and flat-screen cable TVs in each room, 62N Hotel offers a lot of amenities. It has a restaurant, a few shops, and a mini-market on site. You can choose a city or a mountain view for your room. Plus, the hotel has an airport shuttle and car hire services to make transportation easier for guests. They will also pack your lunch from the restaurant if you plan to spend the day on a tour outdoors while traveling in the Faroe Islands. 62N Hotel is located at 14 Doktara Jakobsens Gøta in Tórshavn. A Lovely House in Tórshavn is rather simple but it will make you feel right at home in the Faroe Islands. You will enjoy the view of the beautiful garden in the property while sipping your morning tea or enjoying a coffee kick – which you can both enjoy thanks to the fully-equipped kitchen. Each room has a private bathroom and a satellite flat-screen TV. The holiday home offers a bicycle rental service so guests could explore more of Tórshavn. The property also has an excellent WiFi connection. You can find the property at 37 Jørundargøta in Hoyvík. Vestmanna Hostel has a variety of accommodation options for visitors with its single, double, and dormitory-style rooms. The hostel has a shared lounge/TV area, a shared kitchen, an indoor play area for children, a sun terrace, and a garden. It also offers different services for its guests like laundry, car hire, and an airport shuttle (additional charges may apply). There’s a private bathroom in each room (a shared bathroom for dormitory residents), and free WiFi throughout the property. Vestmanna Hostel is located at Toftavegur 30 in Vestmanna. As the name of this next hotel suggests, The View will give you a picturesque view of the bay and the hillsides of the Faroe Islands. Even though it’s located quite far from the city center, you’ll have no problems staying in touch with people from home with the property’s free WiFi service. Each room has a private bathroom and a flat-screen TV. There’s also a fully-functioning kitchen here with an oven, a toaster, and a stovetop, as well as a tea and coffee maker to help kick-start your mornings. A washing machine and a tumble dryer are also available for use in the property. You can find The View at Bíggjarvegur 12 in Bøur. Hotel Runavík is perfect for couples traveling together. Big groups will also enjoy the hotel, especially with the hotel’s meeting and banquet facilities. 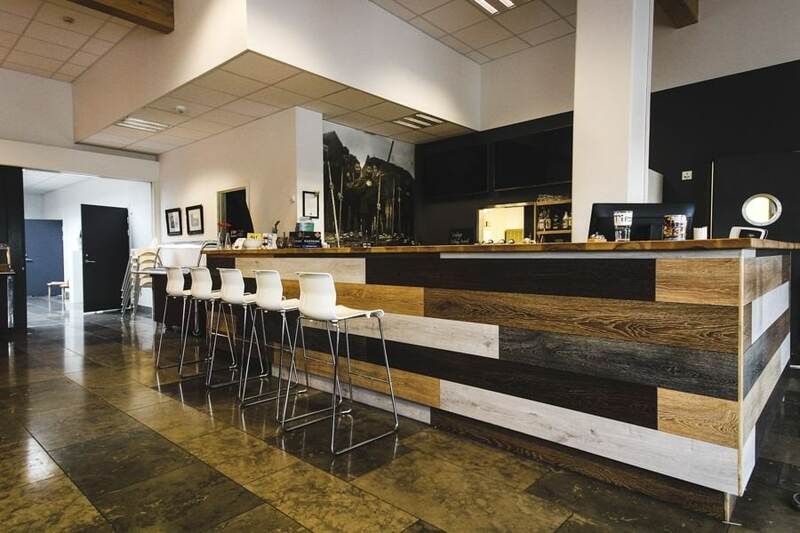 In addition, Hotel Runavík has an in-house restaurant that serves delicious food and great coffee. Each room has a private bathroom and guests will receive free toiletries upon checking in. The hotel has free WiFi for guests and a flat-screen TV in every room. 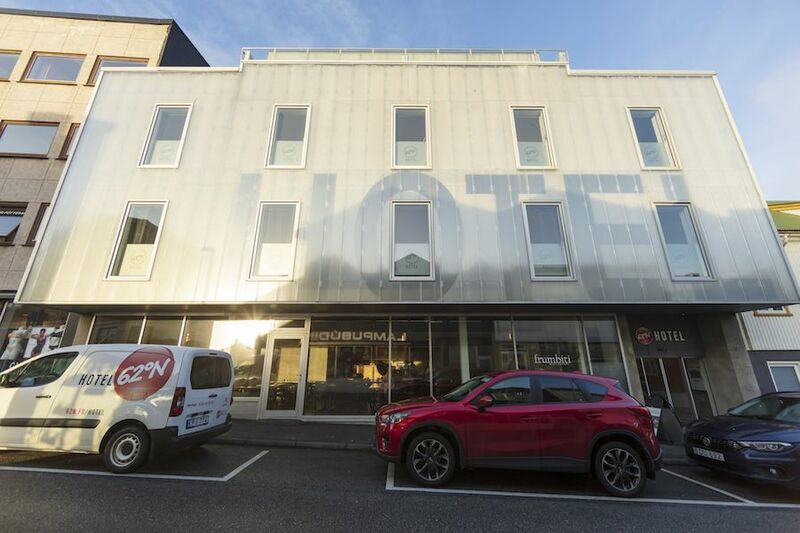 You can find Hotel Runavik at Heiðavegur 6 in Runavík. 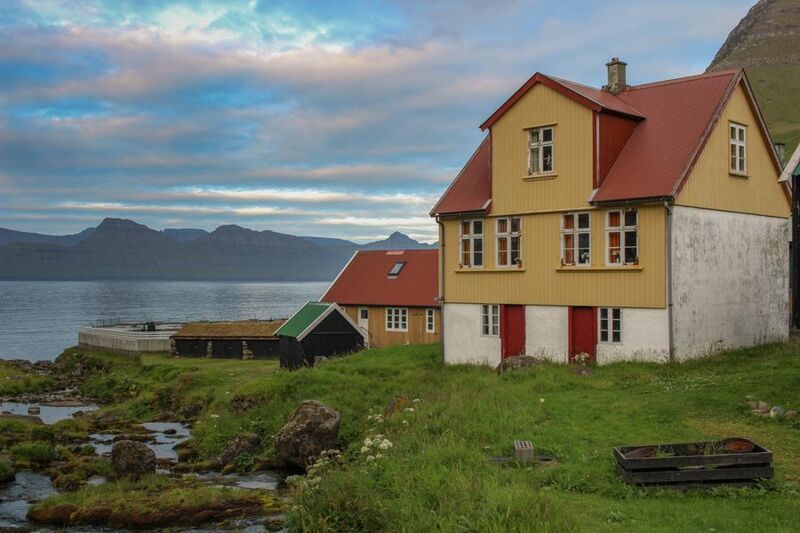 Gjogv doesn’t offer a variety of places to stay, but Gjaargardur Guesthouse is as good as it gets in the Faroe Islands and is a great selection for those wanting to stay overnight in Gjogv, one of the Faroe Islands most famous and picturesque villages. 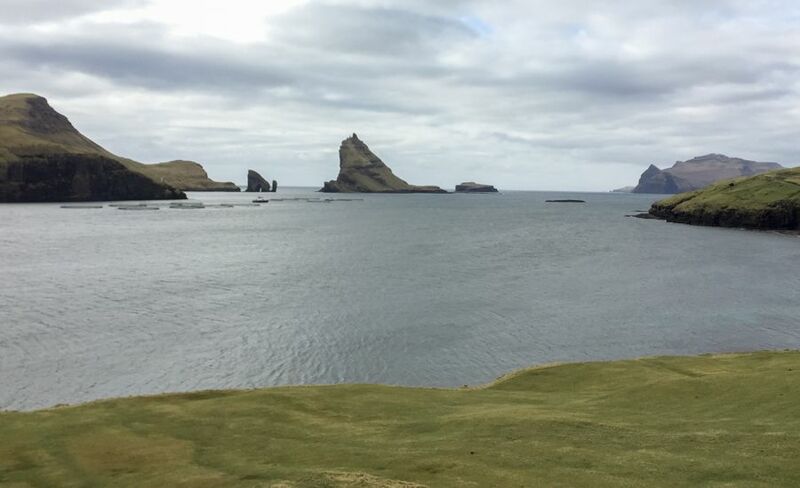 Gjaargardur Guesthouse offers free wifi, a seasonal restaurant, stunning views (okay… awesome views exist everywhere in the Faroes), and knowledgeable hosts that know the area and hiking opportunities nearby. You can find the guesthouse at Dalavegur 20 in Gjógv. 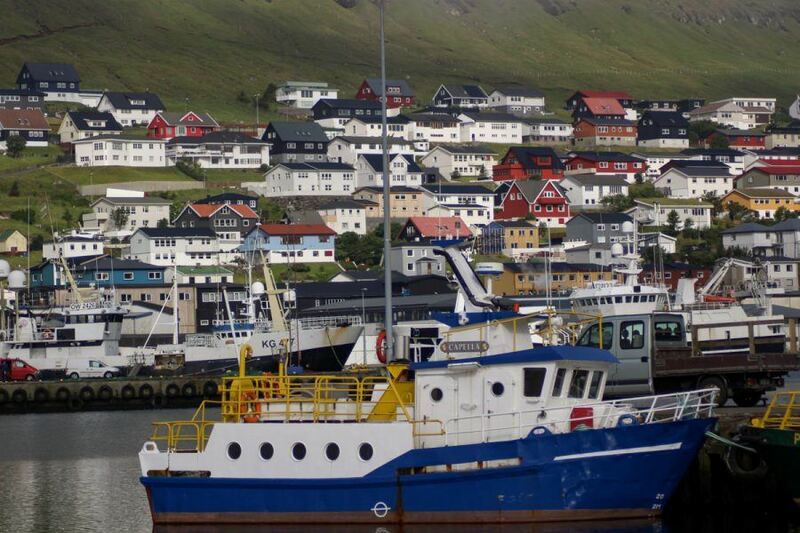 Klaksvik is one of my favorite places in the Faroe Islands and Hotel Klaksvik is the ideal place to stay when there. This Faroe Islands hotel is located in a perfect spot with killer views of the sea and close to a really great bar called Roykstovan (that I spent too much time at one night). The breakfast was typical Scandinavian-style with delicious bread and toppings and we were even able to make sandwiches for the road that day, which saved on lunch! One thing to note about Hotel Klaksvik is that the customer service was exceptional when we were there. The gentlemen working the front desk was extremely friendly and helpful with everything. This was true Faroese hospitality and I highly recommend staying here to anyone passing through Klaksvik or the northern islands. You can find the hotel at Vikavegur 38 in Klaksvik. I stopped at Hotel Skalavik for a coffee and break when on Sandoy. I, unfortunately, didn’t get to sleep there, but given I need to get back to the island to finally see Skuvoy, I know I will someday. The hotel was modern and well laid-out. My favorite thing about the hotel was the friendly customer service and the views of the village outside. Skalavik reminded me of the Canadian Maritimes and it was so peaceful and quaint. I need to get back there asap! There aren’t heaps of choices of places to stay on Sandoy but rest assured, this is a good pick if you’re going to overnight on the island. Easily one of the best Faroe Islands hotels. You can find Hotel Skalavik at 1 Eiler Jacobsens Gøta in Skálavík. My stay at Bed and Breakfast Suduroy was easily one of my favorite experiences in the Faroes to date- and that includes the sick nature that the country is teeming with. Bindi and her family made us feel at home in this beautiful apartment and the fresh eggs and breakfast that was left for us were sensational. The entire space was gorgeous and cozy and I only regret not staying (for like an entire year). You can find B&B Suduroy at 12 Ovari Vegur in Tvøroyri. Frodbacottage has a shared kitchen with a tea and coffee maker for your caffeine fix. Each room has an en suite bathroom and a flat-screen TV in the common area. You can enjoy the outdoors on the terrace or the garden, or ask the front desk for a hiking guide. Aside from these amenities, Frodbacottage also has a mini-market, a gift shop, and a barber/beauty shop on site. Choose between a mountain or a sea view for the best holiday trip. You can find Frodbacottage at A Høvdanum, in Tvøroyri. There are many great guesthouses and hotels in the Faroe Islands that will make your stay unforgettable. If none of the above Faroe Islands hotels suit your needs, click here to view alternative options. 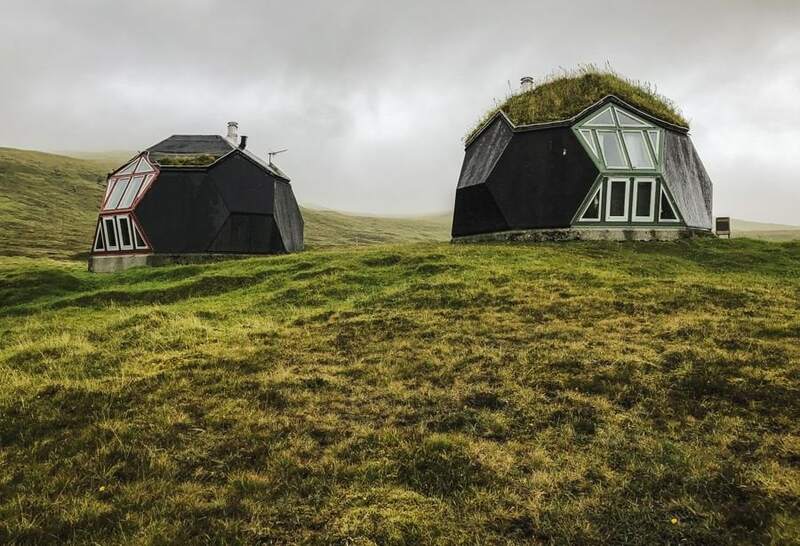 You can also check out Airbnb in the Faroe Islands for apartments or alternative accommodation options. Click here to see what is available. I used Airbnb in Torshavn on my first trip and it was a fantastic experience as I was able to buy fresh, local seafood from the fishmonger and cook it in the evenings for dinner. It saved me money, yet I was still able to support the local economy- so I deem it a win/win. Don’t have an Airbnb account? Click here to sign up and save $29 on your first trip! The best way to get around the Faroe Islands is by car. I mean, you can technically get around by public transportation, but it will be rather difficult and you will have to be at the mercy of a timetable for your entire trip. 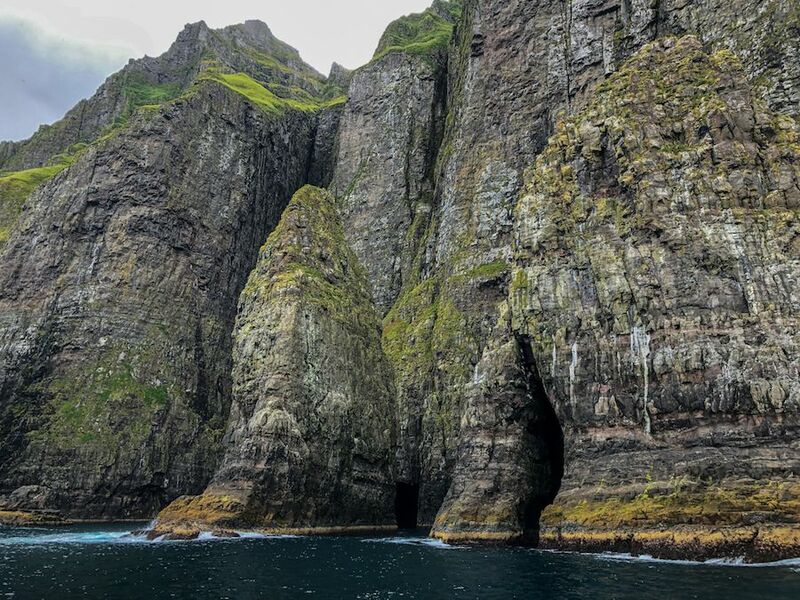 There are several tours and excursions available in the Faroe Islands- from birdwatching to boating to hiking. I created a guide to some tours that will help you get started with offerings. These are great for those who were unable to rent a car (or simply fear the dramatic Faroese landscapes by wheel!). 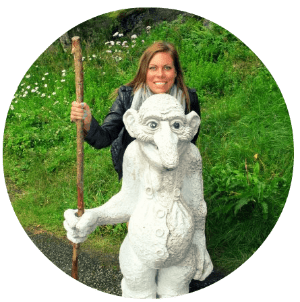 Click here to see my suggestions for the best tours in the Faroe Islands. If you have any other suggestions for places to stay in the Faroe Islands, please drop them in the comments! I based this guide on places I have stayed or visited in addition to a few that are offered in various parts of the islands. If you’re looking for what to pack for the Faroe Islands, check out my Faroes packing guide. Have a wonderful trip to one of the most beautiful places on Earth! *** I was a guest of Visit Faroe Islands on my second trip to the country. As a resulted, I collaborated with quite a few of these hotels in the Faroe Islands and was hosted by them. All opinions are my own- especially the one that says GO TO THE FAROE ISLANDS ASAP! Thanks for your interesting article on places to stay in the Faroe Islands. 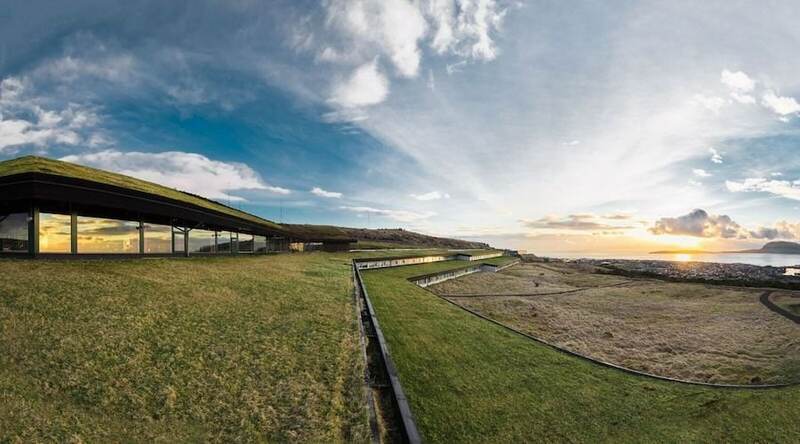 Can you please tell me the name of the the guesthouse in your photo of the two odd shaped building with grass on the roof. Thank you!